Over the many mainline titles in the Resident Evil series there have been many changes to the formula and while some of these alterations were met with adoration, others drove off longtime fans. 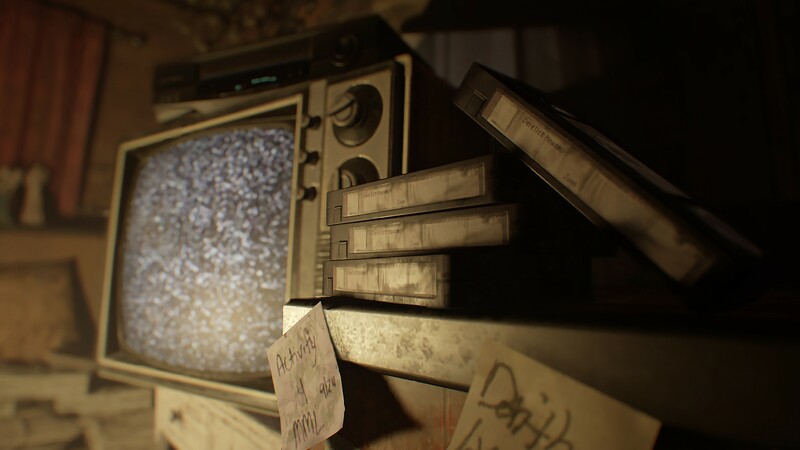 After revisiting some of these classic games through “HD” releases, Capcom has brought us perhaps the biggest change in the series’ history with Resident Evil 7: biohazard. Now whether or not these changes were for the best was up to debate as many demos were released but with the title now available, is it worth picking up? After receiving a message from his missing wife Mia, Ethan Winters travels to the deep south in order to track her down. Despite the location being far off the beaten path and deep into the bayou, Ethan has no qualms if it means meeting someone he practically thought was dead. Once he arrives however he is in for quite a disturbing surprise. Though evidence is found that Mia is indeed on the premise, eerie footage found in the dilapidated house point towards there being far more sinister things at foot and soon Ethan finds himself face to face with his goal but also with the deranged Baker family. Initially at their mercy, it is up to Ethan to survive the halls of the Baker’s large residence and try to save his wife, even if it means facing off against untold horrors and seemingly immortal monstrosities. For the most part the game’s storyline is fairly straightforward for a Resident Evil title, albeit a bit thin on background information. In other ways it is also incredibly similar to original entries in the way that many of the biggest revelations are kept under wraps to keep players guessing and trying to figure things out on their own for most of the game. Unfortunately this does mean that once these details start to be revealed the story does rush towards a conclusion that feels like it could have been extended a bit more to give players some better context. 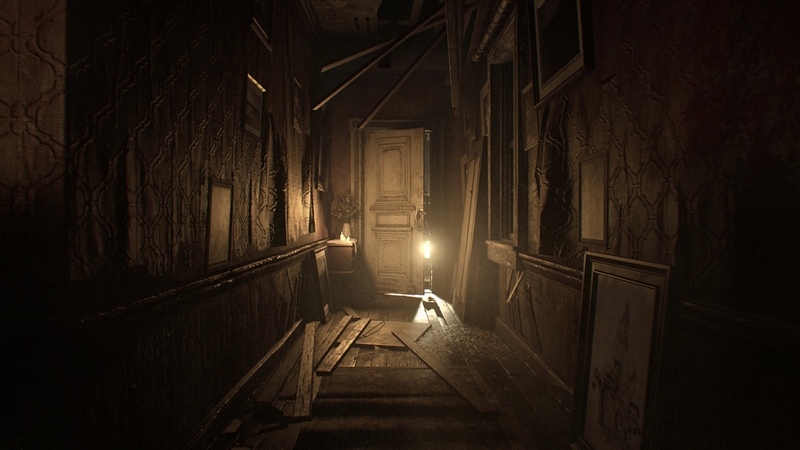 That being said, with the various notes that players find around the grounds, the haunting images that show just how things used to be for the Baker family, and some decent variety to the characters that players encounter and face off against, especially in regards to their dialogue as they chase after them, players will find Resident Evil 7: biohazard to be an unnerving horror story that occasionally dips into “cheesy” territory but in the same familiar and endearing way that the series is known for. 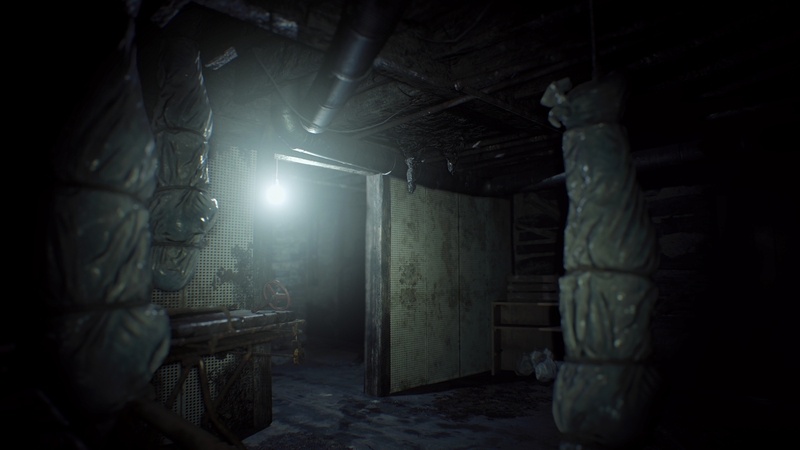 One of the first elements that players will need to get used to in Resident Evil 7: biohazard is the fact that the game is entirely first-person. Outside of only a few seconds of cutscenes players will be viewing things through the perspective of the character they are controlling. This may be a bit disorienting at first but it is easy to get the hang of and thanks to a minimalistic UI players will be able to see everything in the game quite clearly. Traditional elements from the series return in many ways as players will need to often balance their limited (but upgradeable) item holding capabilities by using item storage boxes, taking part in tense combat situations in first person form with limited ammunition and enemies that are often more dangerous than they seem, doors that require specific keys to open, and of course puzzle solving. This element is fairly prevalent in the game and players will need to solve a number of puzzles to open pathways, including one that can be cleverly dodged much to the shock of the creator, though don’t expect anything really tricky here. As far as the gun mechanics go, players will find that Ethan will gain access to a few different types of weaponry while exploring the Baker grounds and while many of these tend to be handguns or shotguns, a few heavier weapon types are available as well. In interesting fashion, players will often need to go out of their way to get the better equipment available during a playthrough and even then ammo tends to be extremely limited for a long time, especially if you happen to be a bad shot. This is primarily due to the fact that the enemies, both the Bakers and the new mutated “Molded” tend to be vicious and constant when attacking the player. Between shrugging off most wounds and being able to move at basically the same pace as Ethan, most encounters rely on the player either timing blocks properly where they still receive some damage, constantly trying to keep distance between you and your target, or simply dodging them when you can. This isn’t the most effective option at times as many corridors tend to be tight as well as the game not having much in the way of a stealth system other than crouching and trying to stay out of sight and in the few dark places. Combine this with the fact that the first person perspective limits what you can see around you and you’ll often feel like nowhere is really safe when you are exploring it for the first time. 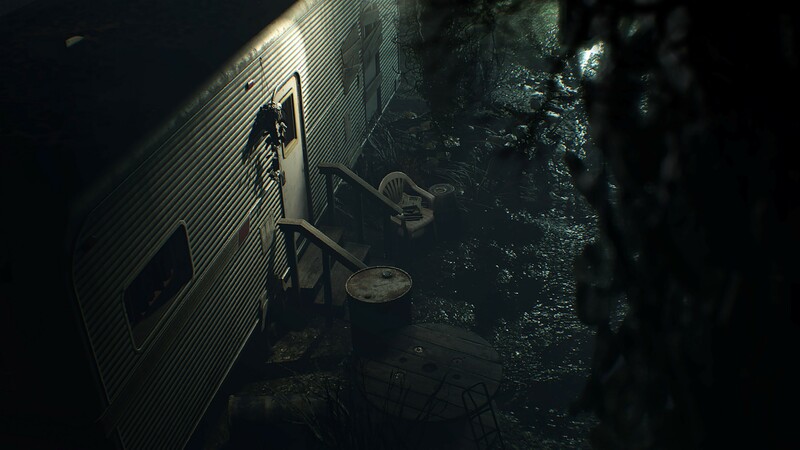 One thing that does make the encounters in Resident Evil 7: biohazard unique is the way that they can play out in multiple ways. There are many sequences that might take place in one playthrough that might not even happen in another and while these different scenarios are rather limited, it is a nice touch to be caught by surprise on a second run through the game. Of course if you happen to touch the unlockable Madhouse difficulty, then you’ll certainly be in for a much different experience as far as encounters go since not only does the challenge of the game increase by limiting ammo and requiring tapes to save, but enemy patterns will also vary. Outside of standard encounters the bosses that players come across tend to be incredibly memorable. Each of the boss’ areas are handled in different ways and have unique themes to them to give players an extra challenge while keeping things fresh. The same cannot really be said about the Molded who unfortunately come in only a few flavors and quickly become repetitive enemies that are rather unimaginative after a short time.Combine this with players having the ability to craft healing items and ammo using certain items and players may often feel like they can easily overpower a standard set of Molded. 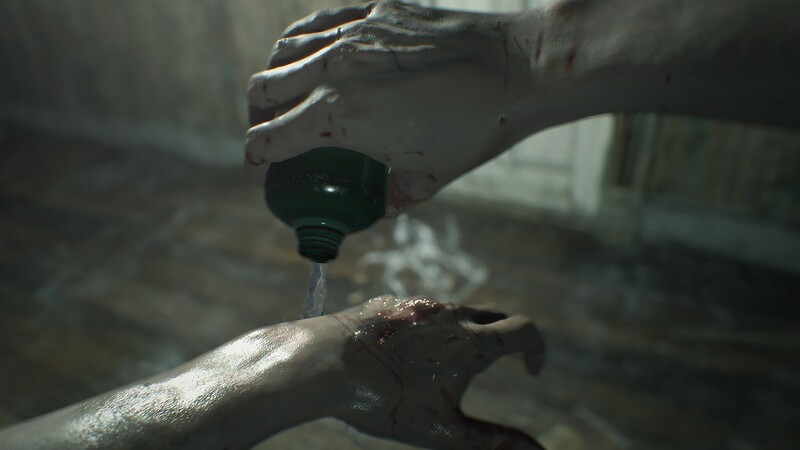 It is interesting to note that alongside the various weaponry you can gather, Resident Evil 7: biohazard features numerous collectibles that can unlock bonus weaponry or items for use in your next playthrough as well as simple things such as antique coins that can be used to unlock bird cages containing things ranging from Steroids to permanently boot your health total, Stabilizer to increase reload time, and a powerful handgun. Between these various unlockables to enhance your next time through the game and the amount of changes and difficulty thrown your way with Madhouse mode, players will definitely feel encouraged to dive into the Baker household once again after their first run through the story. The switch to first person also marks the first time that the company makes use of the company’s new “RE Engine” and thankfully this helps make the game look disgustingly great. From examining the obviously mildewed furniture or rotten food to traveling through a room filled with sickening goop the title really helps deliver the feeling of exploring a place where cleanliness has long been abandoned. The designs of the enemies range from quite gruesome to fairly simplistic in form, with the Molded initially coming off as monstrosities that end up losing their horror as the game progresses. It is also worth noting that the health feedback system tends to get rather annoying after a short time. While Ethan wears a watch that can display his current health level ranging from green all the way to red, your health is also demonstrated through on-screen blood that covers parts of the screen. The bad thing is that even if you are slightly hurt the onscreen blood tends to become an annoying distraction that you’ll often want to simply pop an herb to clear off rather than save it to craft a full med-kit. 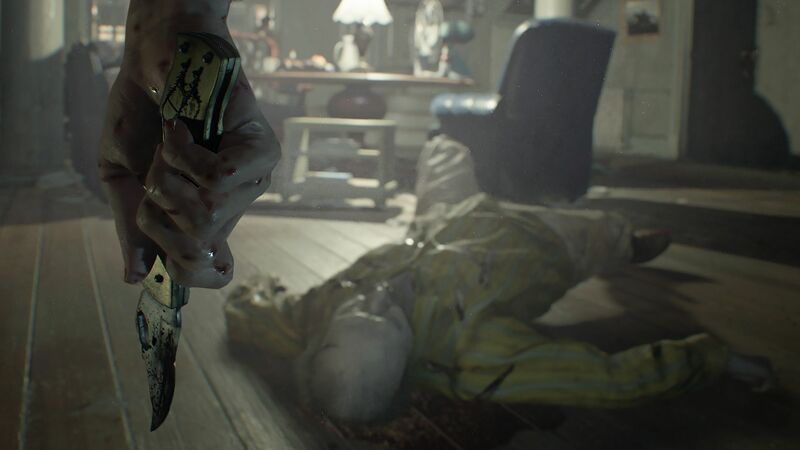 Resident Evil 7: biohazard makes simple use of music as the title only tends to play heavy tones during dramatic and emotional moments though there is one signature tune that plays in the intro and during the credits that is thoroughly creepy. The voice work is quite fitting for the series as well, though be prepared for a couple of sequences where certain lines are repeated a few too many times if a fight wears long. 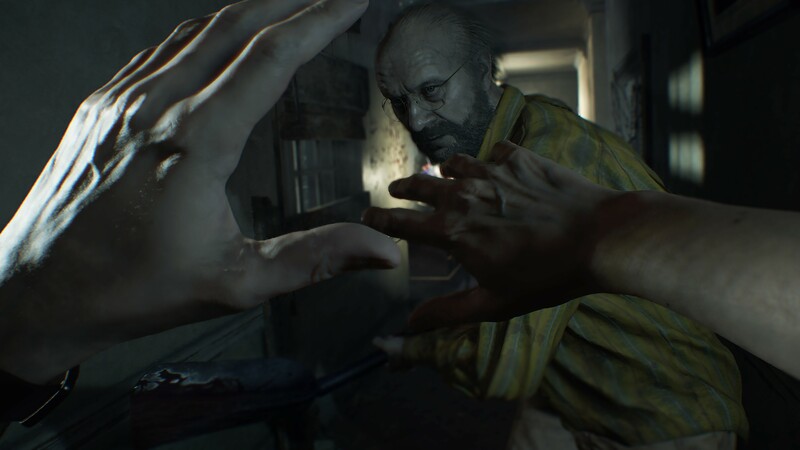 Resident Evil 7: biohazard may not be an incredibly long game with roughly ten hours on a standard first run being an expected completion time but thanks to plenty of unlockables and different events that can take place, it makes great use of its replay value. Combine that with certain story twists that will have players shocked and gameplay that remains quite tense and you have a game that may fall short in some regards but delivers a great survival horror experience that few may have expected. 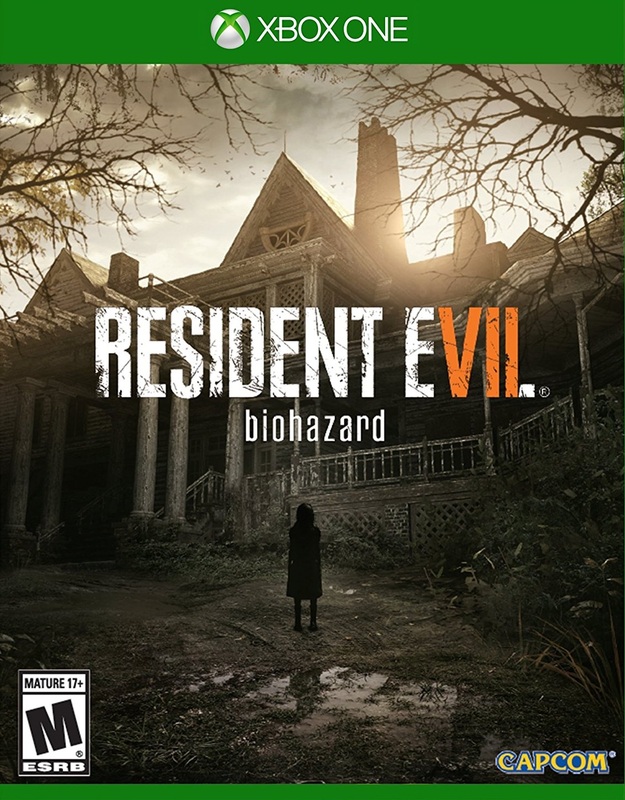 Resident Evil 7: biohazard may have taken a different route than many fans thought it would continue down but this route has turned out an impressively scary game with plenty of replay value and gameplay elements steeped in the classic feel of the original Resident Evil games.